Industry Experts employs innovative research approach and performs an in-depth analysis to provide high-end, qualitative and timely market research reports on various industry verticals. Our reports provides accurate market data comprising current market scenario, future market prospects, key industry players, latest industry developments and a comprehensive guide to the industry. 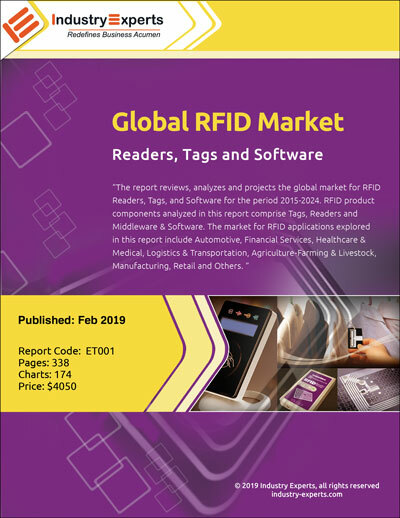 RFID Tags remain the largest product component within the RFID market, reaching a projected US$17 billion by 2024 from an estimated US$8.2 billion in 2018, during the 2018-2024 analysis period. Asia-Pacific region is anticipated the fastest growing market with a rapid CAGR of 16.3% over same period.